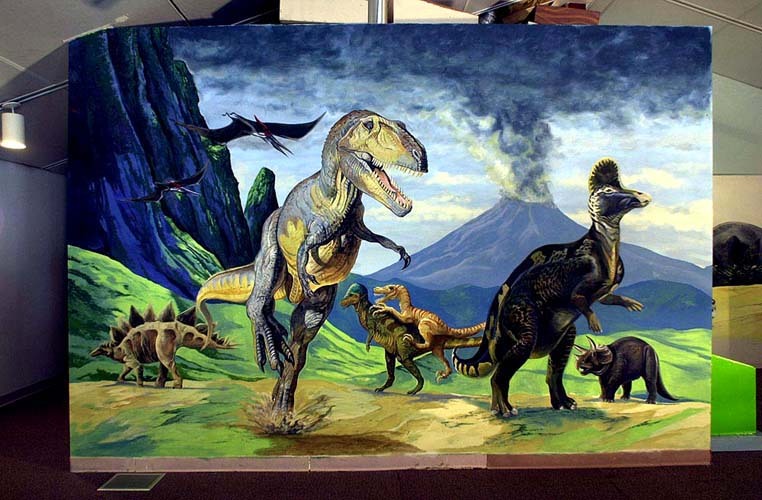 This is the most complicated of three paintings that we did for the Dinosaur Exhibit at the Monmouth Museum. It is 12' high and 17' long. To see our mural of the egg laying dinosaurs click here, and to see the underwater ones click here.